As previously mentioned, a divorce decree is the final step within the divorce process, making it legally binding. It is a document signed by the judge which incorporate the Separation Agreement, if you and your spouse were able to agree. It will include the judgment of the court case or the specific arrangements reached between you and your spouse during your divorce proceedings, and will be dated by the judge. The official divorce decree is mailed to you usually after 30 days of the final court hearing. In Massachusetts, our divorce decree is called the Judgment of Divorce Nisi. In an uncontested divorce, it is usually a one page document that incorporates the Separation Agreement signed by the parties. In a contested divorce, the Judgment of Divorce Nisi will include all of the judge’s rulings and order after the trial has been held. The Judgment of Divorce Nisi is the last step of divorce proceedings. If there are mistakes, you or your attorney must request a fix before it is finally entered as part of your divorce. Division of Debt: This element of a Separation Agreement will outline how a couple’s mutual and individual debt will be divided after their divorce. This can include debt on vehicles, personal loans and or credit card debt, just to name a few. Property Division: The property division should be outlined in a Separation Agreement. This will document how property will be divided. In Massachusetts, the way we divide property is called equitable division and it isn’t always an even split of property, but the decision has to be fair. Alimony: The word alimony is the legal term for one spouse financially supporting their ex-spouse. Alimony payment isn’t part of every Separation Agreement. Whether or not it applies depends a great deal on the length of the marriage and other factors like the discrepancy between the two spouses incomes, or if one spouse supported the other financially before the divorce. Custody: This aspect of a Separation Agreement outlines the parenting time and decision making authority of the parents with respect to the children after divorce. Some couples opt to share custody, but usually, the child/children live with one parent most of the time and have parenting time with the other on a predetermined schedule. Child Support: A Separation Agreement should include specifics pertaining to child support. This is of course the agreement between the spouses that the parent who primarily supports the child will get financial help from the other parent with whom the child does not live. How much this amount should be will be based upon various factors, like the previous income amounts of the two spouses and specific needs of the children. As we mentioned earlier, once you and your spouse have signed the Separation Agreement, it is sent on to a judge for it to be incorporated into the Judgment of Divorce Nisi. At the expiration of 90 days or 120 days, depending on the type of divorce, your divorce will be final. At that time, you may request from the court a Certificate of Divorce that further evidences the divorce is final. In most cases, your lawyer will mail you a copy of the Judgment of Divorce, but if for some reason you don’t get a copy from them, or you just want another copy, you can get one by requesting it from your local court’s clerk’s office. A Certificate of Divorce is not automatically generated but instead needs to be specifically requested from the court and it costs extra to obtain. The process of divorce is never easy or overly pleasant. However, with the help of an experienced attorney, you can navigate your way through the proceedings and come out on the other end victorious. 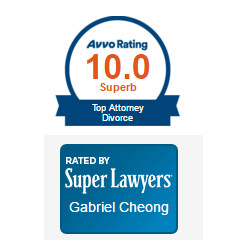 Contact us today if you are considering a divorce. We want to help you get through this challenging time.